The Maharajah brand was first established here in Singapore in 1986. 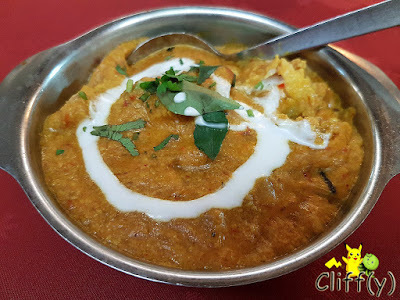 It's also the first Indian restaurant to offer delivery of North Indian dishes under the banner of Dial-a-Curry. Even though the branch at Cuppage Terrace has closed down recently, the one at Clarke Quay is still going strong. 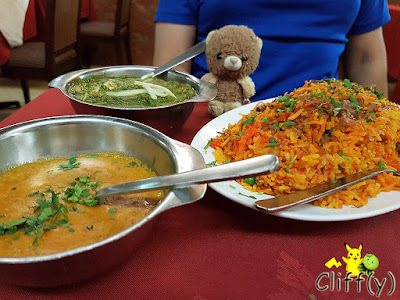 Do you prefer North Indian or South Indian cuisine? 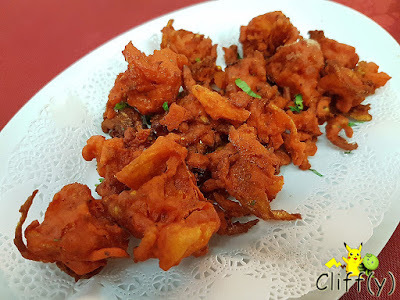 Dipped in a batter made of chickpea flour mixed with spices, the deep-fried vegetables weren't greasy. I was hoping they'd be crispier though, and I've definitely tasted better elsewhere. They came with the following condiments. 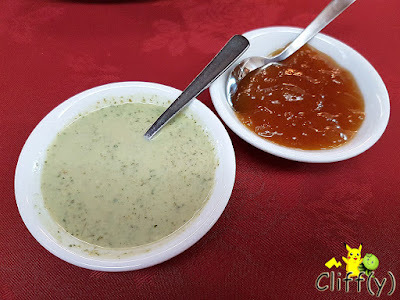 The minty yogurt dressing was a tad too thin for my liking, while the mango chutney was sweet and thick enough. Goa, which is the smallest state in India with its coastline facing the Arabian sea, is known for its sour and spicy coconut curry. What was presented that evening probably didn't represent the state too well because it wasn't that flavourful. There were only a few pieces of fish, but they were succulent. 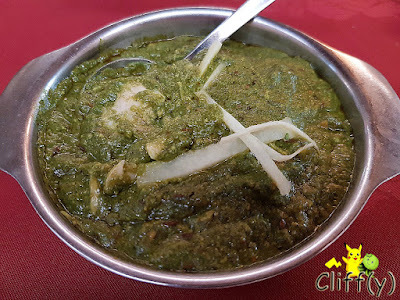 I've eaten palak paneer (Indian spinach purée with cottage cheese) a few times, but that was my virgin experience with the thick spinach paste cooked with chicken. Flavoured with ginger, garlic and onions, it was a pretty mild dish. Again, there wasn't much of the meat. 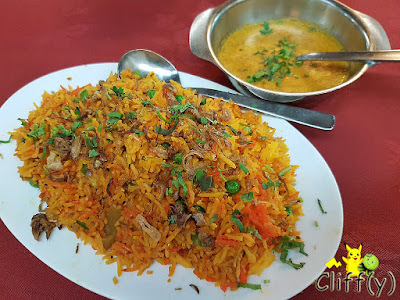 Given the lack of meat in the two dishes mentioned above, it wasn't that wise after all to order a plate of the spicy rice without proteins. Anyway, it tasted decent, even though the side gravy could be less watery. Also, it was a pity that it didn't come with raita (Indian yogurt with vegetables). Pika's advice: Raita is sold separately at S$8.00 if you're interested. I was glad that the dessert dish didn't disappoint. 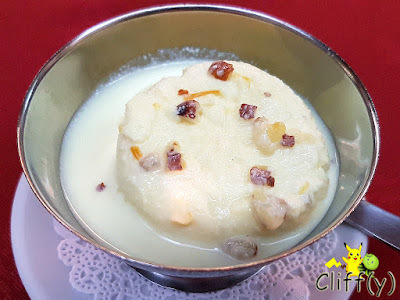 Two dumplings made of cottage cheese were soaked in sweetened milk that was delicately flavoured with cardamom. They were pretty chewy, absorbing the milk well. The dried fruit toppings made the overall appearance slightly prettier. For a restaurant that's older than me, I'd certainly have a high expectation of it. Did I happen to order the wrong dishes from the huge menu?